A potential Irma landfall in south Florida will have several financial/economic repercussions for the state of Florida and the rest of the country. Long range forecast has shifted south. Still looking very brutal. S. FL in the bull’s eye at the moment. If some of the models hold out the destruction will defy description. My heart goes out to everyone in its path. And I truly fear for those who for whatever reason can’t evac or those in small back-water areas that aren’t as “plugged in” as everyone else and who may not know what’s coming until it is too late. Canadian wildfires , an interactive map : http://cwfis.cfs.nrcan.gc.ca/interactive-map . Port Alberni B C on Vancouver Isl is in a valley and is again inundated with smoke from the mainland wildfires. http://www.independent.co.uk/news/world/americas/canada-wildfires-space-vancouver-visible-nasa-worldview-british-columbia-satellites-smoke-a7877046.html. British Columbia has suffered the worst of the damage, with more than 860 wildfires this summer, of which at least 138 are still said to be burning. An estimated 4,910 square kilometres have burned to the ground since the beginning of April, according to Canadian news sources, making this summer the worst for wildfire destruction in 60 years. The Temps. here are more like beginning of Aug . Looks to cool a bit over the next week . Really need some rain. Brutal summer for the forests. clearly and easily understood, with connection to and in service of all life. Bless you and thank you for all that you do, Rob. Thanks so much for these kind words, Eleggua. Very, very concerned about a lot of things at the moment. You’re welcome, Robert. You inspire me. Thank you. 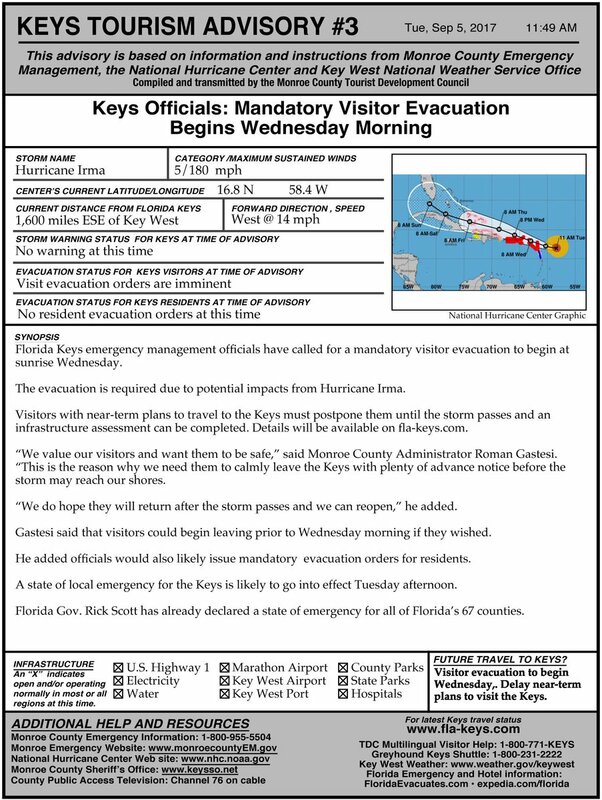 Florida Keys: Mandatory Visitor Evacuation begins Wednesday morning. Officials will also likely issue mandatory evacuation orders for residents. Also thank you for the continued updates. So much going on that’s it’s impossible to cover everything in the posts. This is why the comments/links here are such a valuable add. Definitely deserve kudos for helping to keep the forum vital and informative. You’re welcome. I garner so much of great use from the comments here and not just info. Like the advice from Robert in N.O. to remember to keep a good sense of humour and moderation: priceless. Thanks again for that, Robert in New Orleans. And thanks, RobertScribbler for providing this space for us and maintaining the focus by denying the deniers / bots / trolls any access. robert, please let us know if you would like us to post Irma-related posts on the previous blog entry. Otherwise, I’ll just keep posting them here or on the most recent ones you put up. Thanks. Please feel free to put them under the most recent blog post. I’m working on an Irma post at this time. But am trying to also continue to cover various energy and climate related issues as well. The PNW is well into 3 months with little to no rain. Every thing is tinder dry. Energy in = energy out. Since 1998 Earth’s energy balance has increased >2,500,000,000 Hiroshima size atom bombs worth of energy and increasing ~4 more bombs every second. That computes to one Hiro for ~ every 16 mile diameter circle on the planet every year! ~90% of that has gone into heating the oceans and melting the Planet’s ice. The rest has heated the atmosphere and evaporating more moisture that increases the rain bombs , disrupting jet streams and weather pattern. That added energy empowers the storms both winter and summer, increases stalled weather patterns which intensifies droughts and forest fires and so much more. Here in the PNW we have had 2’+ over 5 days.